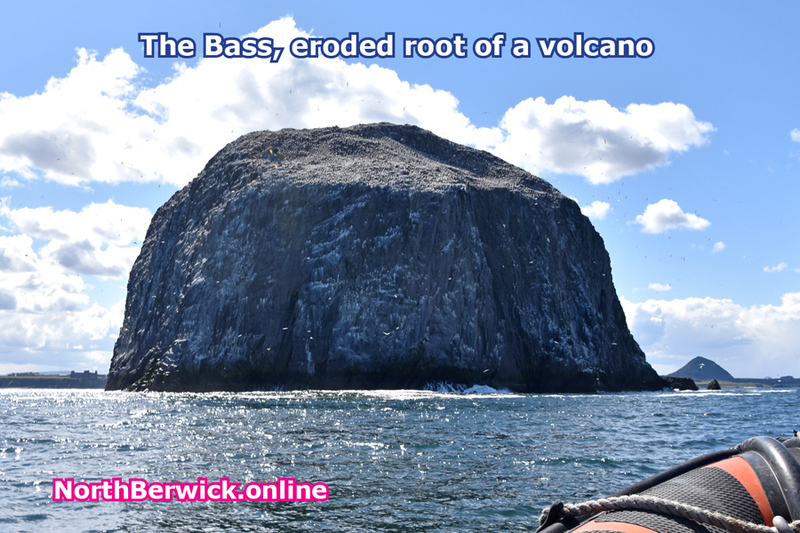 The two striking landscape features of North Berwick, The Law and the Bass Rock, give clues to the volcanic origin of this part of East Lothian. They are each the exhumed core of a volcano, made of hard igneous rock which cooled inside the volcano. Later erosion wore away the softer surrounding rocks and left the harder core rock standing proud. The lavas and ashes from these volcanoes form the rocks around the harbour and along the shores to east and west. Three Basaltic lavas form the reefs at the harbour. 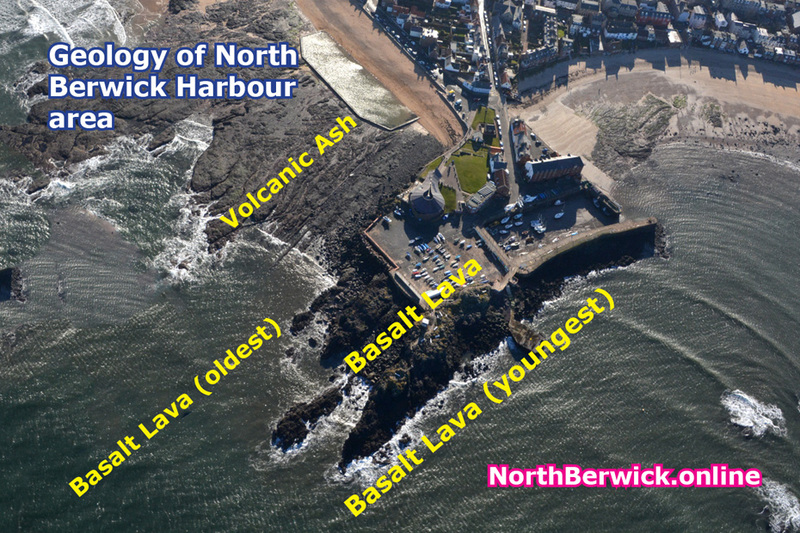 These harder volcanic rocks form a band stretching south to the Garleton Hills, and are the reason why the North Berwick area protrudes north into the Firth of Forth. The volcanic rocks formed some 340 million years ago in what geologists know as the early Carboniferous period. Since then the rocks of Scotland have been subject to episodes of mounting building followed by erosion. As a result the rocks we see today are tilted and cut by faults. At various times during the last 2 million years East Lothian was covered by an ice sheet which flowed west to east across the area. This covered the rocks with glacial till, stiff clay with stones and boulders, and left a west-east grain across the landscape, as seen in the ridge extending east from The Law. Since the end of glaciation, some 15 thousand years ago, the sea-level relative to the land has fluctuated. For a long period around 5000 years ago, sea-level was about 8 metres higher than present. 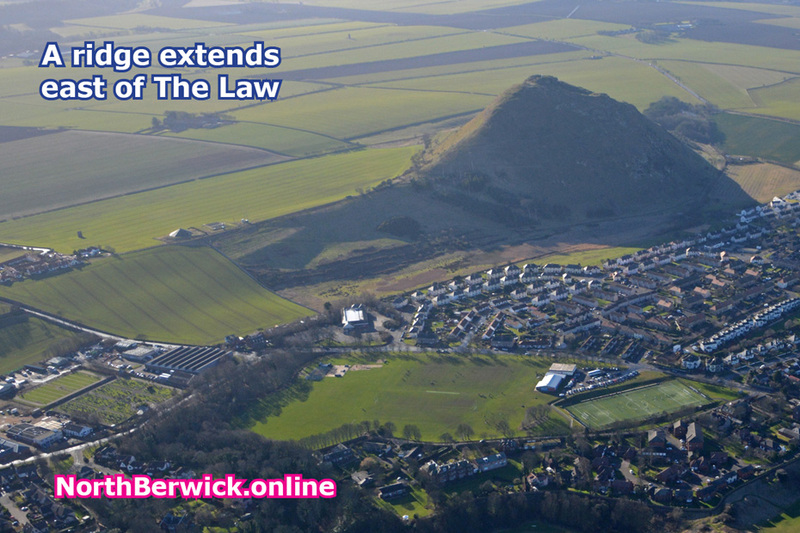 This produced a raised beach of sands and gravels which underlie the flat part of North Berwick below about 8 metres, backed by steep slopes which were the former sea cliffs. Most of the West Links golf course lies on this raised beach with associated blown sand dunes, but only the first and last holes of the East Links (Glen) golf course.